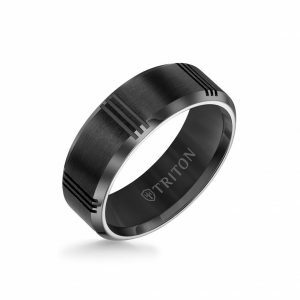 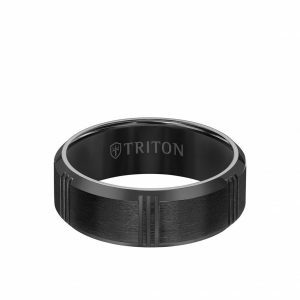 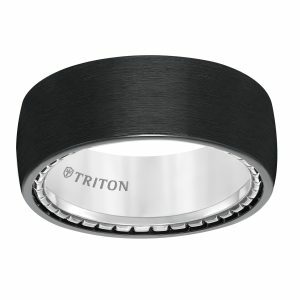 Benchmark 7mm Titanium square profile grooved rounded edge comfort fit band. 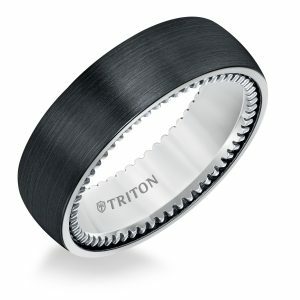 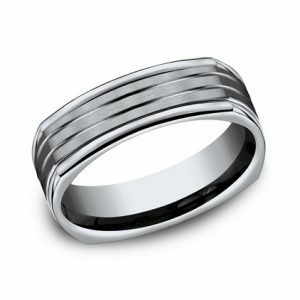 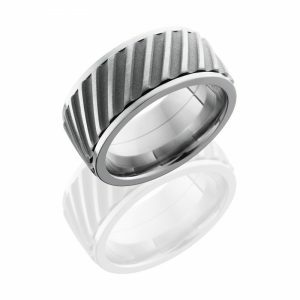 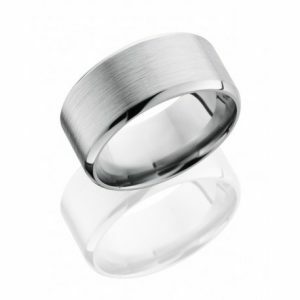 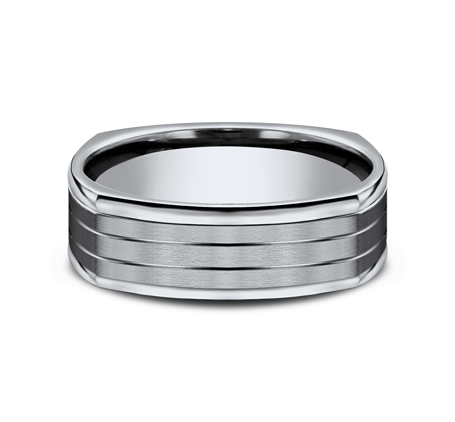 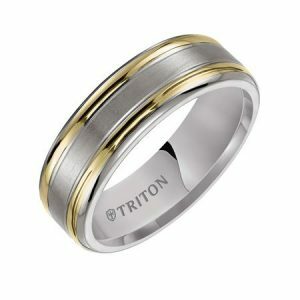 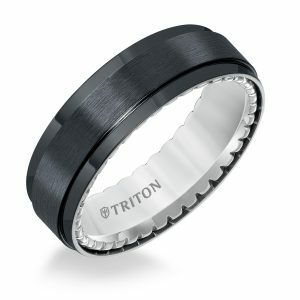 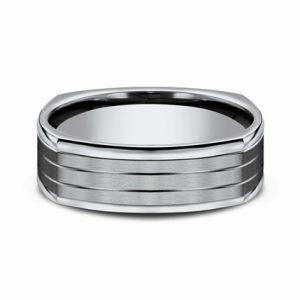 The band is 7mm wide with two high polished center grooves, which run the circumference of the ring. 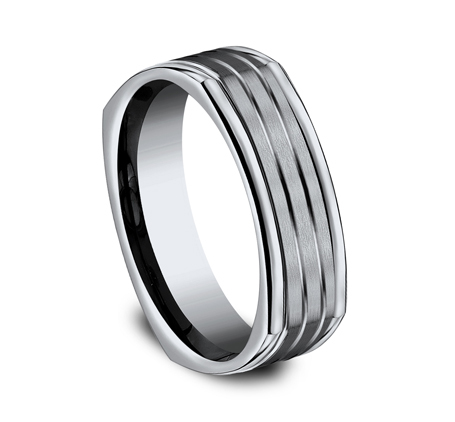 The high polished center grooves are border by a satin finish. 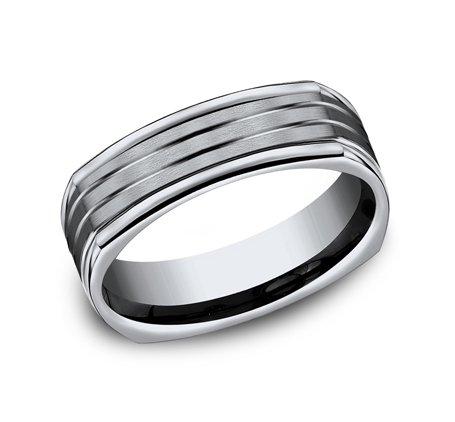 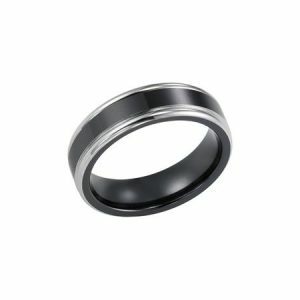 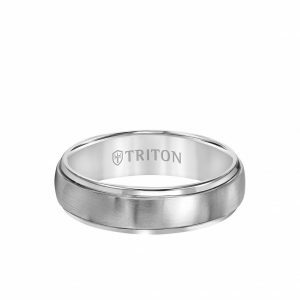 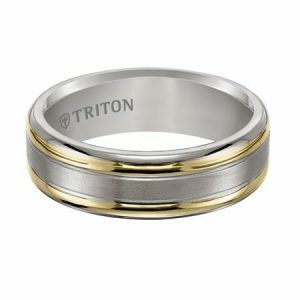 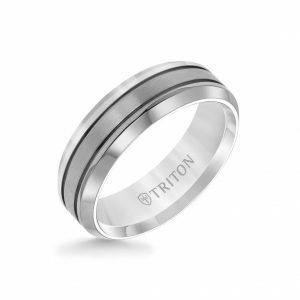 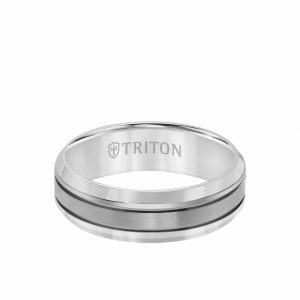 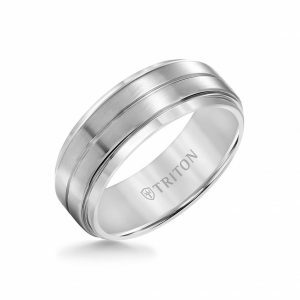 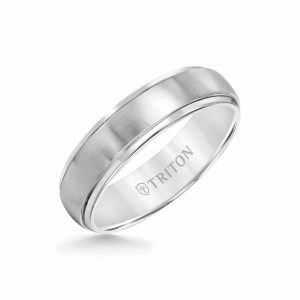 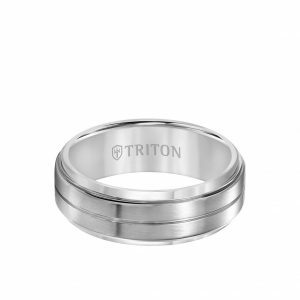 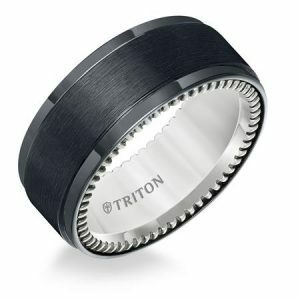 The ring has a heavy comfort fit, square profile, and high polished rounded edge.